Here is a store photo of the very pretty new Heathered Blue Calm Cool Racerback which I am now lusting over (along with the Exhalation Pullover and the Bumble Berry Red). 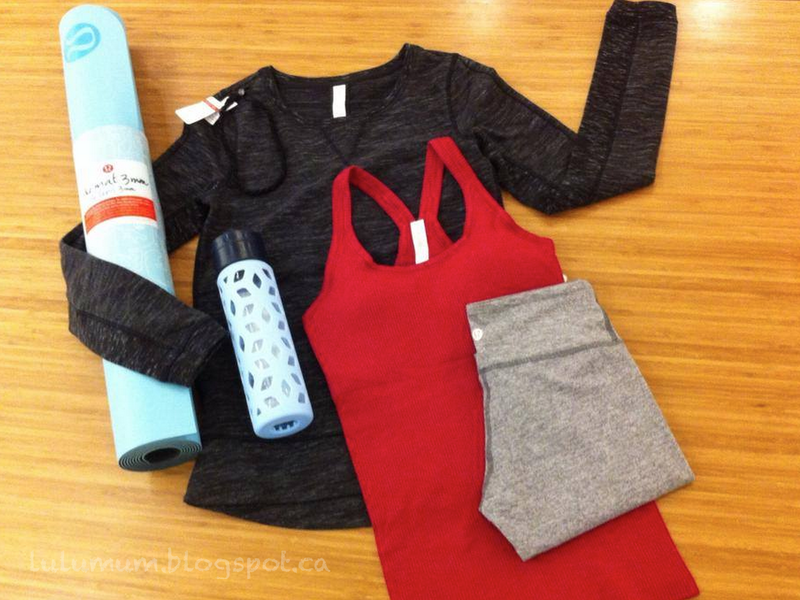 Lululemon Addict has some more closeup photos of the Heathered Blue Calm CRB that a reader sent her. "The Latest: Heathered Bumble Berry Ebb To Street Tank, Exhalation Pullover II (updated fit), Happy Yin Year Sweatpants"
"Bumble Berry Wunder Unders, Bumble Berry Runner Up SS, 5 Year Yogini LS, Happy Yin Year Sweatpants and More"